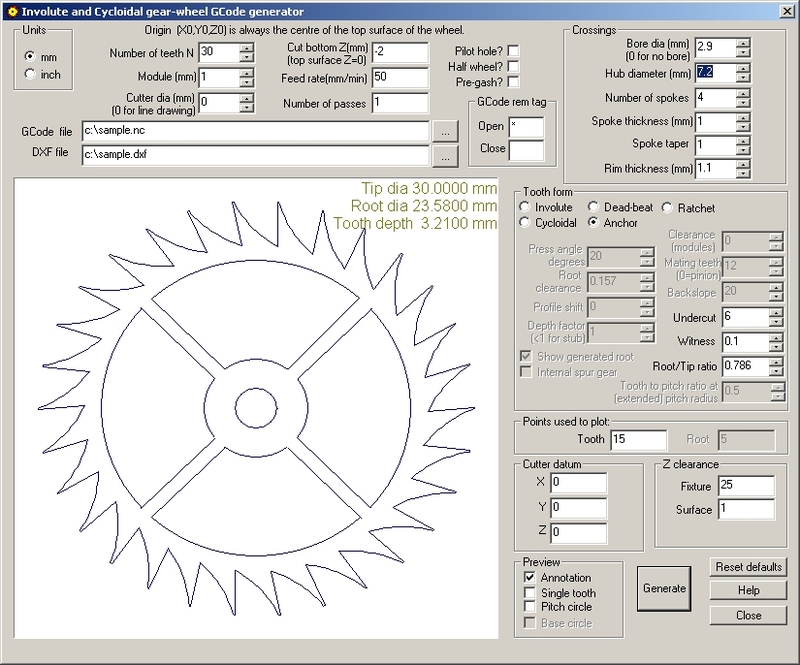 This application is used as an aid to the design of simple spur gears using, involute, cycloidal, recoil escape, dead-beat escape and ratchet wheel tooth form. 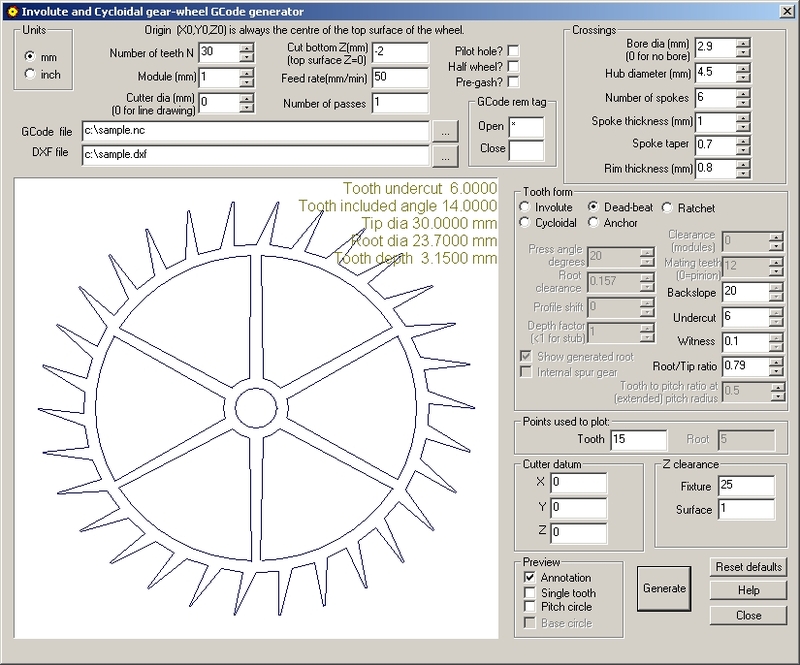 Optionally it will design crossings (spokes) to your specifications. 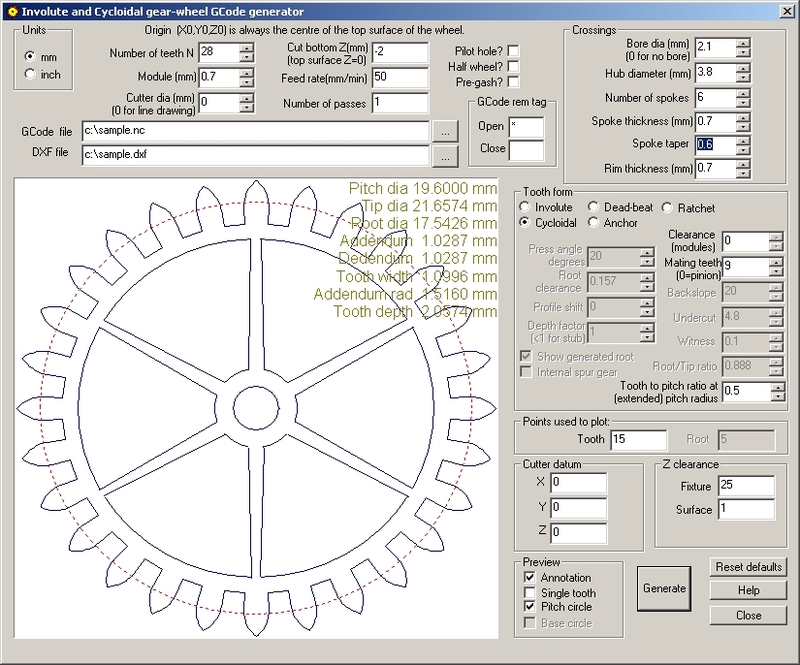 It shows a zoomable preview of the tooth form or of the whole wheel. 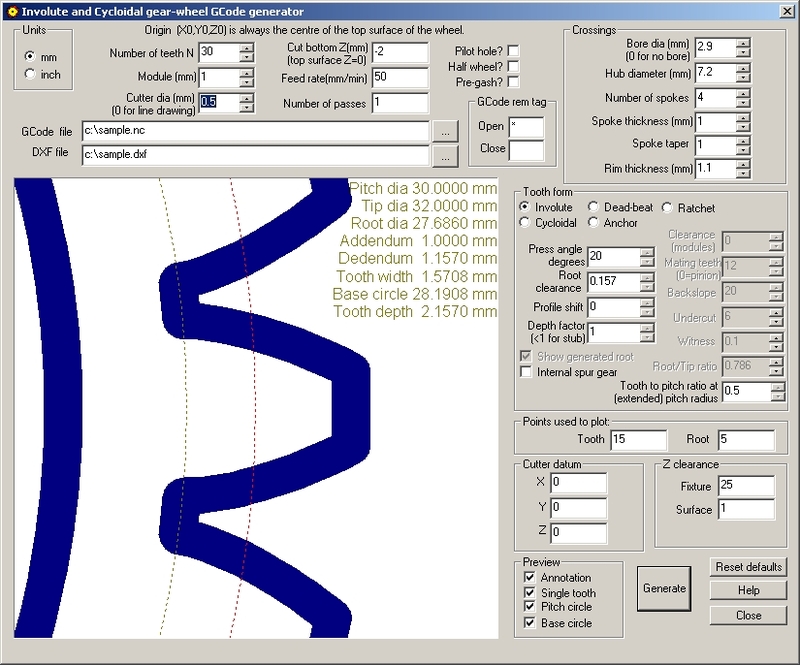 It generates a simple DXF file which can be imported into a CAD package. 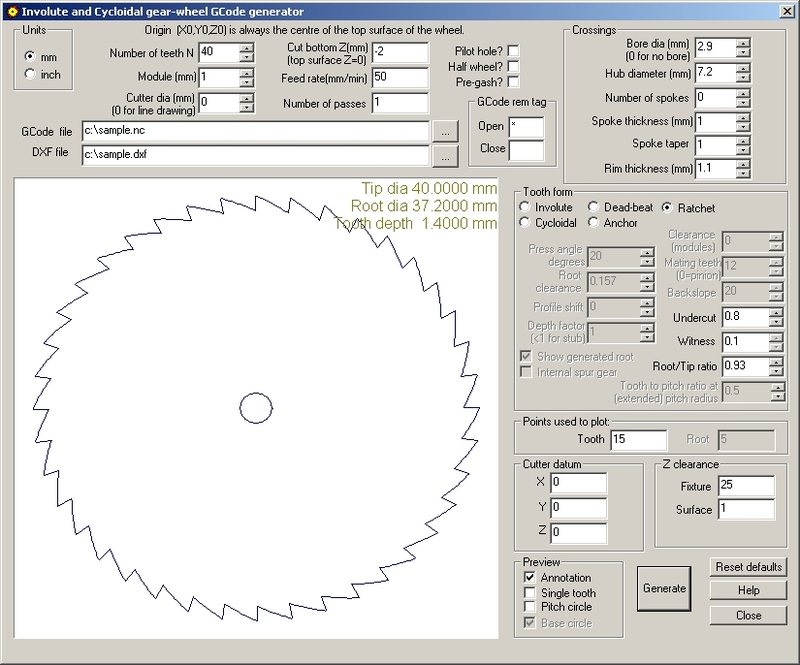 It also generates an ISO cnc mill file from which a part may be manufactured. The program will interact by regenerating whenever you alter a design parameter. Values which have to be typed will be activated when you press return. Check boxes and radio buttons will cause a regeneration immediately. 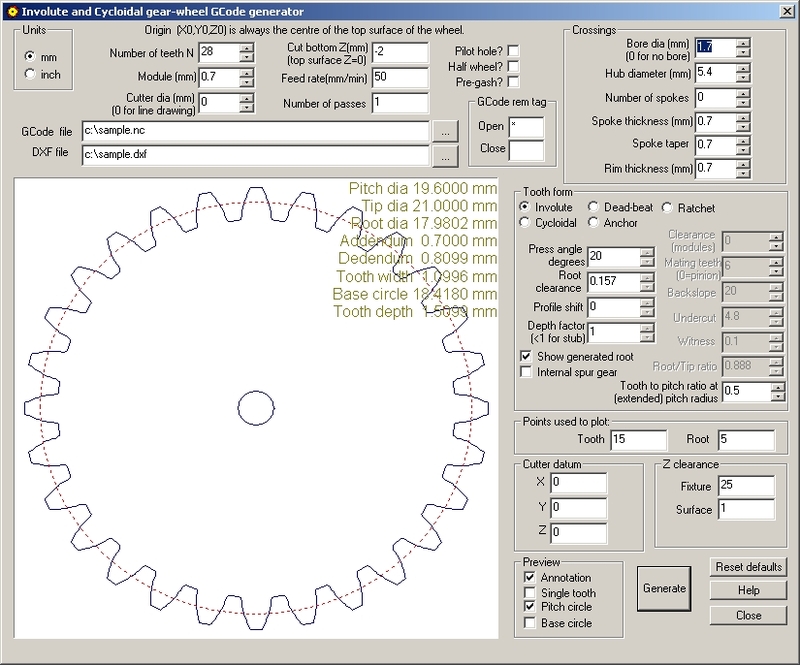 Each time the wheel is regenerated the GCode file and the DXF file will be rewritten. Click here for more up-to-date information and how to buy with immediate download.